WE BELIEVE GOD HAS A PLAN FOR YOUR MARRIAGE. NO MATTER YOUR BACKGROUND OR CURRENT SITUATION, THERE IS HOPE FOR YOU. WE BELIEVE INVESTING IN YOUR MARRIAGE IS ONE OF THE MOST IMPORTANT THINGS YOU CAN DO. 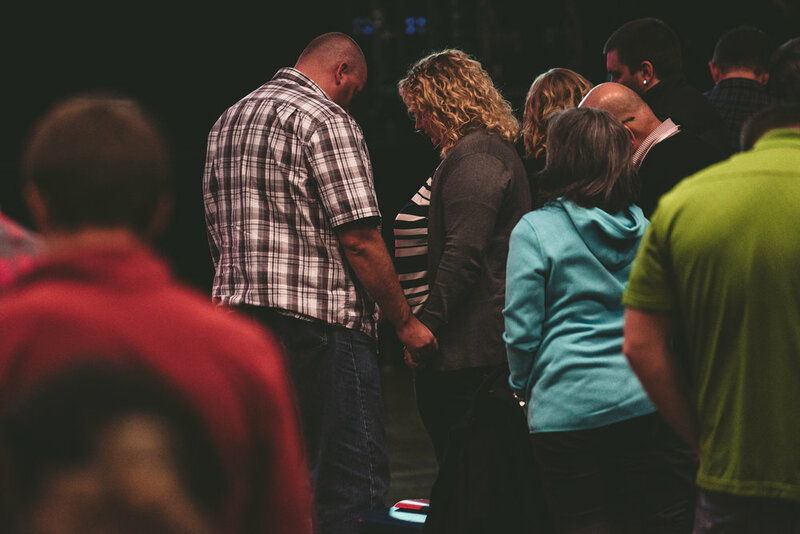 XO BEGAN OVER A DECADE AGO, AND WE'VE SEEN HUNDREDS OF MARRIAGES TRANSFORMED. WE HAVE HAD DIFFERENT NAMES OVER THE YEARS, BUT OUR PASSION HAS REMAINED THE SAME. TO SEE GODLY MARRIAGES THRIVE. Dr. Greg Smalley serves as the Vice President of Family Ministries at Focus on the Family and his wife Erin Smalley serves as the Strategic Spokesperson for Marriage Ministries at Focus on the Family. Greg and Erin have written a number of books including the widely popular Ready to Wed, Crazy Little Thing called Marriage, Fight Your Way to a Better Marriage, The DNA of Relationships, The DNA of Parent and Teen Relationships and The Whole-Hearted Marriage. 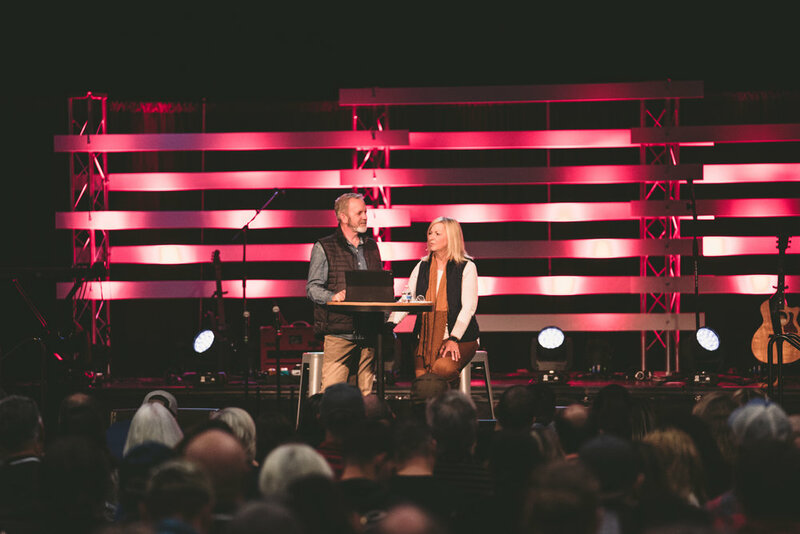 Gifted with the ability to demonstrate valuable relational lessons along with a heavy dose of humor, Greg and Erin deliver insightful and practical advice to help couples deepen their marriage relationship. Located oceanfront Seaside's famous promenade with unforgettable views of the Pacific Ocean, Best Western Plus Ocean View Resort offers graciously appointed guestrooms, an onsite restaurant, heated indoor saline pool, fitness room, complimentary Wi-Fi and much more! Look forward to walking right outside to the beach, or just five minutes to Broadway and the heart of Seaside. heck into the upscale Rivertide Suites Hotel and discover luxurious Seaside, Oregon lodging in a lovely, riverside setting. Enjoy beautifully-appointed, over-sized suites equipped with top modern amenities and conveniences, including full kitchens, electric fireplaces, washers, driers and jetted tubs. Relax in style amid a gorgeous atmosphere, complete with breathtaking riverfront or mountain views. Whether you're visiting for a day or a week, you can expect world-class, resort-style service and accommodations at our beautiful Seaside Oregon hotel. Our location makes our Inn the obvious choice for beach lovers, families looking for a fun Oregon coast vacation and of course, conventioneers. 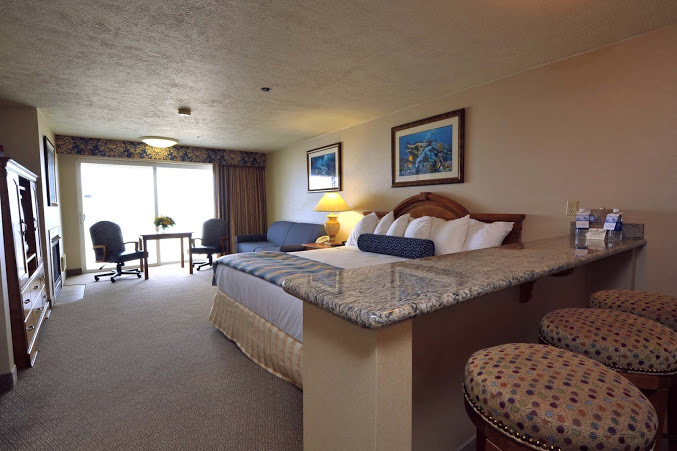 Cheerful, spacious two bedroom suites, double queen-bedded rooms and hospitality suites are perfect to accommodate families, small groups or couples on a romantic coastal getaway. All of our guestrooms are ADA Defined service-animal friendly. And, with several pet-friendly rooms, you can include the whole clan on your Oregon beach vacation getaway. Stay at Seaside's newest hotel. The River Inn at Seaside is perched along the soothing Necanicum River and centrally located, just one block from downtown or two blocks to the beach. The River Inn at Seaside is the ideal hotel for all who enjoy the atmosphere and ambiance of the Northern Oregon coast, offering the comforts of home, in a convenient location. When you stay at the Shilo Inns Seaside Oceanfront you will be right on the beach in the center of the cultural and tourist attractions of Seaside. The newly updated spacious oceanfront rooms offer Shilo guests a spectacular view of the Pacific Ocean and glorious sunsets. Kids under 18 always stay free with an adult at Shilo Inns. Dogs welcome with nominal fee. Come and relax with us at our Seaside hotel, the Hi-Tide, where you’ll find the beach right outside your door. It won’t take you long to see why our Seaside Oregon inn is an unrivaled choice for those seeking the perfect location, superb service, and pristine relaxation. Our hotel has become the “Home Away From Home” for many generations visiting Seaside, Oregon. Whether you are visiting on a family getaway, honeymoon or business we are confident you will fall in love with the sandy beaches, ocean breeze, and area attractions. Have Questions? Let us know by filling out the form below! We’ll get back to you as quick as possible. Planning on having your church community attend with you? Here you will find plenty of downloadable content to assist you with spreading the word. Fill out the form below and we’ll email you when content is available!